Most current data suggest that between 43.8 and 48.9 percent of all African immigrants in the United States hold a college diploma (Charles, 2007; U.S. Census, 2000). This is slightly more than the percentage of Asian immigrants to the U.S., nearly “double” the rate of native-born white Americans, and nearly four times the rate of native-born African Americans (Williams, 2005; The Journal of Blacks in Higher Education, 1999-2000). Black immigrants from Africa have also been shown to have rates of college graduation that are “more” than double that of the U.S.-born population, in general (Williams, 2005). 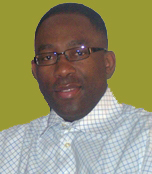 For example, in 1997, 19.4 percent of all adult African immigrants in the United States held a “graduate degree”, compared to 8.1 percent of adult whites (a difference of “more than” double) and 3.8 percent of adult blacks in the United States, respectively (The Journal of Blacks in Higher Education, 1999-2000). This shows that America has an equally large achievement gap between white Americans and African born immigrants as between native born white and black Americans. In "Remade in America - A series about the newest immigrants and their impact on American institutions,” today's online edition of The New York Times carries an interactive map listing the number of foreign-born workers in the US by occupation and country of origin. According to the map, the top ranking occupations for Cameroonians in the US are (by order of importance), Nurses 1,800; Nursing aides, orderlies and attendants 1,000; Policemen and other protective service workers, 700; and Managers and administrators, 500, bringing the total number of workers of Cameroonian origin in all occupations to 10,300. The amount of funds transferred is constantly increasing. 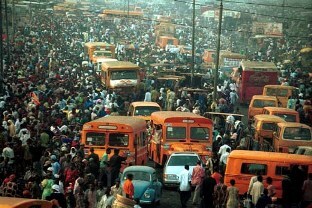 Estimated at USD 11 million in 2000, it rose to USD 103 million in 2004 and USD 167 million in 2008. This amount represents 0.8 per cent of the country’s gross domestic product. During a recent question-and-answer session in Parliament, Cameroon’s Prime Minister, Ephraim Inoni, addressed the brain drain phenomenon in Cameroon. 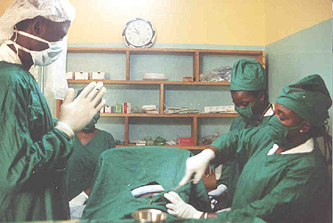 According to Cameroon Tribune, the Prime Minister “acknowledged that the government was aware of the exodus of Cameroonian intellectuals, technicians and medical officials to work in foreign countries” and reveled that the government of Cameroon “was working towards organising a Day for the Diaspora to enable Cameroonians abroad effectively contribute to the development of the country”. LAGOS (Reuters) - From cocktails with hip-hop stars to sushi with smooth-suited bankers, it's no wonder Nigerians moving back after decades in New York or London feel right at home among the high-rolling elite of Lagos. This urban sprawl of 14 million people, the chaotic hub of Africa's most populous nation, may epitomize what many foreigners fear most about megacities in the developing world: violent crime, corrupt police and crumbling infrastructure. 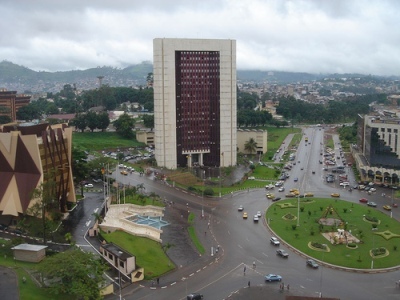 Yaounde: Highly qualified Cameroonian graduates are leaving for Europe and North Africa in unprecedented numbers, and unlike in the past no longer feel compelled to return, starving the professional classes of qualified workers, according to experts. "We have shifted from having a spirit of national solidarity to one of individualism," said a university student. "It used to be inconceivable that a student would leave for abroad and not return to apply their skills to serve their country, but that is no longer the case." During the African Athletics Championship which took place earlier this month in the Ethiopian capital of Addis Abeba, Ethiopia, one of the star attractions was Cameroon’s hammer throw representative, Georgina Toth. Georgina attracted lots of media attention because she is white. 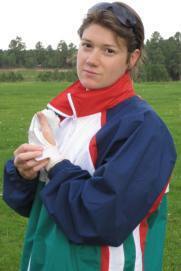 A 26-year old native of Hungary, Georgina moved to the United States in 2006 after she obtained a scholarship for the Northern Arizona University where she is a Business major. Georgina’s story an intriguing one because she does not have any tangible connection to Cameroon; she is not married to a Cameroonian, does not have children of Cameroonian ancestry and has never lived in Cameroon. If doctors are to be expected to make the requisite sacrifices, society must be fair and compensate the doctors enough so that they do not have to worry about the basics, about their families' needs. Sometimes Cameroon physicians have to do things that are less than honorable in order to survive. Loss of physicians and other skilled people trained at very high expense is the worst of the drain of African resources that has been going on relentlessly for the past 500 years. Recently Monsieur, the plainspoken French interior minister of Hungarian extraction, stated that he would welcome immigrants (politically correct shorthand for Africans) as long as they spoke French fluently and had a skill that could be used to improve France. Wow! Talk about eating cake! The cover story of the September issue of Post Newsmagazine, which is now available online, focuses on the trials and tribulations of Cameroonian bushfallers living in Western Europe, Asia and America. 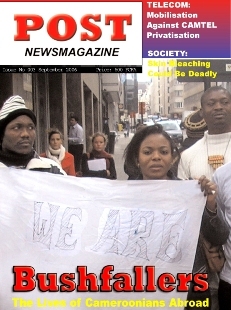 The cover story is based on the personal experiences of Cameroonians living in China, Austria, England, Germany and the United States. They write about everything from the regular pangs of homsickness to the challenges of integration and racism, including immigration and employment difficulties. Reuters - "Cameroon May Lose all Doctors by 2009"
Reuters - Cameroon coulld lose all of its 3,000 practising doctors within three years if the Government does not act quickly to stem a brain drain in the health sector, the national doctors' association says. "Between now and 2009, if nothing is done to stop this mass exodus, our hospitals will be empty," Professor Tetanye Okie, vice president of the ONMC association of doctors, said. "The Government may be forced to undertake a massive recruitment of young doctors." "Worldwide, arguments against dual citizenship have become less compelling, over time, while arguments in favour of dual citizenship have become stronger, and especially over the last 10 to 15 years…"
As we saw in the first part of this article, globalization has dramatically altered the dual citizenship debate in many countries. The political reasons that were once used to reject dual citizenship in the 20th century are today steadily giving way to powerful economic and cultural arguments in favor of dual citizenship. Can Cameroon – a country which proudly celebrates its newfound HIPC (Heavily Indebted Poor Country) status - afford a development policy which shuts out some of its most resourceful and skilled citizens on the spurious claim that their patriotism is questionable because they reside abroad and have taken up foreign nationalities, usually for practical reasons? After Cameroon won the first Afro-Asian football finals against Saudi Arabiain Jeddah in 1985, the Saudis refused to hand over the trophy on grounds that Cameroon had fielded an ineligible French player during the first leg encounter in Yaounde. The player in question was none other than the legendary Roger Milla who had showed up for the game with his French passport. In the best of circumstances, the emigration of professionals from developing countries to the West is usually a transition from a life of professional frustrations and material deprivation to one of professional satisfaction, mobility, and material comfort. Increasingly however, this rosy picture is steadily becoming the exception rather than the norm; professionals are leaving their homelands in search of greener pastures abroad only to end up being underemployed because they are unable to get jobs that are commensurate to their education, skills and experience. This is the “brain waste” phenomenon which a World Bank Working Paper defines as the situation “where the skilled and the educated leave their home country, but then make little use of their skills and education in the host country”. 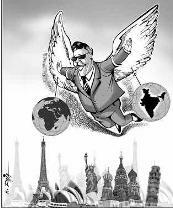 “How does one continue to sacrifice when some big shots are growing fat on the spoils; the Government, the Mission - all corrupt!Sacrifice will only bear fruits when it is participatory; you sacrifice, I sacrifice." 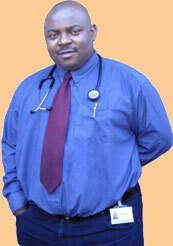 Dr. Valentine Ngwa. Brain Drain: Why are Cameroonian Medical Doctors Leaving? The news from the Ministry of health was quite gloomy. 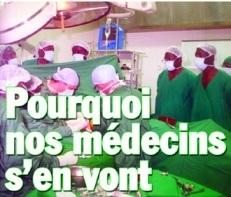 In a special report that appeared in the Cameroon Tribune last week, it was announced that Cameroon’s medical system was in crisis due to a severe shortage of medical doctors resulting from the massive exodus of Cameroonian MDs to countries in the developed world.